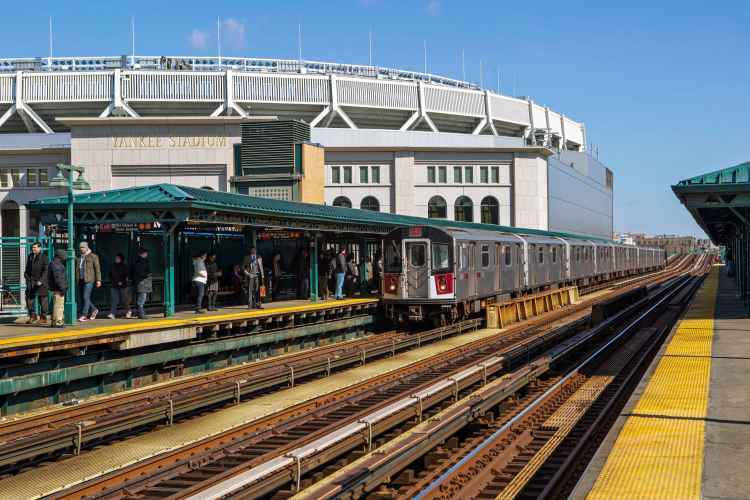 How to get there: Take the B, D or 4 train to 161st St–Yankee Stadium. The venue is right there when you exit. You can also reach the park on the Metro-North Railroad’s Hudson Line, disembarking at E. 153rd St. You’ll have about a 10-minute walk upon exiting. What’s going on: Coming off a 100-win season that ended with a Division Series loss to eventual World Series champs the Boston Red Sox, the Yankees look good for 2019. Their stacked lineup features feared hitters Aaron Judge and Giancarlo Stanton. They added near-ace pitcher James Paxton and Brooklyn-born reliever-tinkerer Adam Ottavino to their staff while the rest of their division—on paper at least—took some steps backward in the off season. A return to championship glory seems more than plausible. Who are their nemeses? Even before Boston owner Harry Frazee sold George Herman “Babe” Ruth to the Yankees in 1920—thus inaugurating the so-called Curse of the Bambino—the Red Sox have been the Yankees’ fiercest rivals. They play in the same division and, up until the past two decades, had a relationship not unlike that of Charlie Brown (Boston) and Lucy (New York). The Yanks also have crosstown rivals, the National League’s Mets, whom they defeated in the 2000 World Series. It’s always fun to experience the intense atmosphere on game days against either opponent. Speaking of the Babe, did Ottavino really say in December 2018—before signing with team—that he would strike Ruth out every time in hypothetical meetings between the two? Indeed. It might be heresy, but it’s also likely true. The Yanks have had a bit of fun with the attention and have turned it into a promo. Tell me about the Yankees’ uniforms. Pinstripes are nearly synonymous with the Yankees. They were introduced to the team’s uniforms around 1912 and have remained there since 1915 almost without exception. Another thing you might notice: no individual names on the back (though the team was the first to use numbers). How about their grooming rules? The Yankees forbid shaggy cuts and facial hair, save for mustaches. Since 1973, such hirsute liberties have been banned for players; as a result, some incoming free agents over the years have had to change their grooming ways. What Yankee Stadium is like: The current Yankee Stadium replaced what was known as “The House That Ruth Built” back in 2009—its debut coincided with the last time the team won the World Series. It retains many features of the old grounds, including a replica of the copper frieze that once graced the top deck. The stadium holds more than 50,000, has a play area for kids by the right-field stands and multiple places to hang out and watch the game when not in your seat. Your seat choice will depend on budget and availability. You might also take into account overhangs that will keep away the sun away and where you’ll have the best chance of catching home run balls—but, generally speaking, you’ll be fine wherever you are. If you choose a spot out in the bleachers, be warned: fans there—known as the Bleacher Creatures—can be on the rowdy, or at the very least vocal, side. It’s a lively atmosphere, but maybe not the best if you have young children in tow. Promotional days: June 23, versus the Houston Astros, is Old-Timers’ Day. It’s a perennial favorite, with retired former players returning for an abbreviated exhibition. You might also fancy a bobblehead or two during the season: CC Sabathia as a Jedi (May 4) or Mariano Rivera as Captain America (July 12) should do nicely. Rivera, by the way, just became the first player ever unanimously elected to the Baseball Hall of Fame, and the team will honor that achievement with a ceremony on August 17. For more Yankees theme nights, as well as those of other teams in the City, check out our guide to the best NYC ballpark promotions of 2019. “YMCA”: Midway through the game, the grounds crew sweeps the infield dirt and dances along to the tireless Village People hit. “Theme from New York, New York”: The Frank Sinatra version of this chestnut is played after every game. What to eat: Lobel’s is where to go for carved steak sandwiches; Mighty Quinn’s BBQ for brisket and pork; and Frank’s Red Hot Terrace for tasty dingers (mini burgers). Of course, many would argue that nothing beats a good ol’ Nathan’s hot dog at the ballpark. (Vegetarians would undoubtedly disagree; fortunately, they have options, like Bareburger’s black-bean-based patty and its new Impossible burger.) Hungry for more? Read our article on this year’s best new options as well as one on some stadium standbys. Things to do before or after a game: Come to the park early—say, three hours ahead of time—to catch batting practice. Monument Park, which features plaques, monuments and Yankee greats’ retired numbers, sits behind centerfield and is a highlight; access closes 45 minutes before game time. If just being here for a game isn’t enough, take a stadium tour; it may get you into the clubhouse and, if you’re lucky, onto the field. Not far from the stadium is the Grand Concourse, with its many art deco buildings as well as the free Bronx Museum of the Arts. For more things to do in the Bronx, see our borough guide.